Assist parents in understanding the process for establishing an Individualized Education Plan (IEP) or 504 Plan at their child’s school. Act as a liaison with schools to advocate for children having difficulty at school due to medical or behavioral concerns. If parents desire, case managers can establish an ongoing connection on behalf of their child at the school, attend meetings with parents at school, and provide support for the child and parents at school as appropriate. Meet with families in person at the office or by telephone to offer connection to community services such as but not limited to: Relief Nursery, Parenting Now, Family Navigators, Direction Services, Well Mama, Community Health Nurses, and Drug and Alcohol Counselors. Assist in triage and screening of children at Eugene Pediatric Associates and Thrive Behavioral for a variety of mental health concerns. Help children and families find the best fit and most efficient access to care for mental health and behavioral health concerns, whether at Thrive Behavioral or elsewhere in the community. Assist with screening of mothers for postpartum depression at every well check for their child’s first year of life, giving them support in the office as needed, and maintaining phone contact with mothers struggling with PPD. 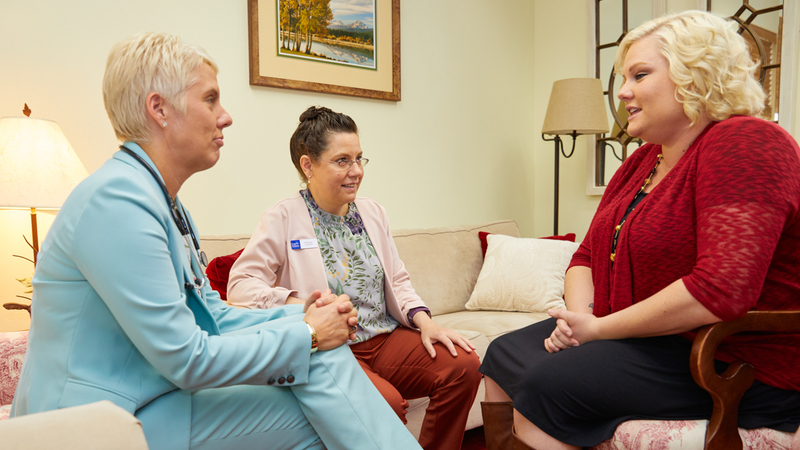 When mothers are in need, case managers can connect them to mental health services, support groups, and other resources. With mother’s consent, case managers can act as a liaison to the mother’s OB, midwife, or PCP to help women find additional care. Help the medical team when children are seen for concerns of abuse by coordinating with Department of Human Services (DHS), law enforcement, and local child abuse experts and agencies. Interface with DHS in cases involving patients at Eugene Pediatric and Thrive Behavioral, providing children and families support as needed, maintaining contact with their DHS worker, treatment facilities and community partners involved in their case. Provide support for children in the foster care system, as well as their foster families and biological families as needed. Coordinate care with local and state children’s hospitals for medically complex children, focusing on care coordination and prevention of avoidable health complications in order to help avoid emergency department use and hospitalization.